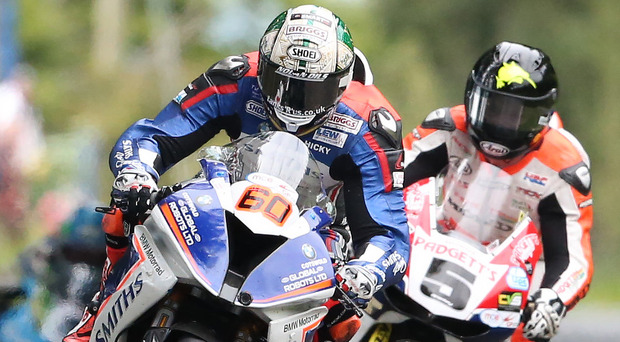 The Ulster Grand Prix dates for 2019 have been announced. The races will take place on Thursday, August 8 and Saturday, August 10. Four races have been scheduled for the Thursday afternoon with a bumper seven-race programme planned for the Saturday. Thursday will feature the opening Superbike race as well as Supersport, Supertwins and Ultralightweight/Lightweight outings. Saturday includes the final two Superbike races, two Supersport outings and Superstock, Ultralightweight/Lightweight and Supertwins races. Practice sessions will take place on Wednesday and on Thursday morning. The Superbike, Superstock, and Supersport races will be open only to international licence holders. National License holders will be eligible to compete in the Ultralightweight/Lightweight and Supertwins classes. "My key message for everyone, but specifically newcomers, is that Dundrod is an extremely fast and technical circuit which must be treated with respect, and that means doing a serious amount of groundwork before taking your place on the grid," said Clerk of the Course Noel Johnston. "Unfortunately, this year we had less than perfect weather conditions and had to delay and abandon some of the races on the Saturday. "We were gutted for the fans and all the teams and riders that had travelled over for the event, it was very unfortunate after all the hard work that had been put into the event." This year, the meeting was overshadowed by the death of Fabrice Miguet, from Normandy, following a crash at the Joey's Windmill section of the course. Peter Hickman was the top-performing rider as he won his second Darran Lindsay Man of the Meeting Trophy after securing a Supersport and Superbike double.